Nibble on fresh fruit and enjoy the soft ocean breezes from the plush sectional inside your very own private cabana on Great Stirrup Cay in the Bahamas. 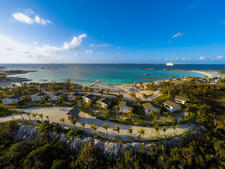 Owned by Norwegian Cruise Line, the 250-acre Great Stirrup Cay is an exclusive destination for NCL passengers. To make your experience even more serene, book one of the small or large beachside cabanas, stocked with plenty of extras to make it a worthwhile splurge. Read on for more information about each cabana to help you choose the right one for your group. A private cabana is a plush way to enjoy the pristine sand and surf of Half Moon Cay, Carnival Corporation's private island in the Bahamas visited by Carnival Cruise Line and Holland America. Half Moon Cay cabanas are colorful wooden outposts peppered along the island's shoreline, and while they all offer special amenities, offerings vary based on cabana type. If you're not sure which enclave is the best fit for you during your time ashore, read Cruise Critic's guide to Half Moon Cay cabanas. 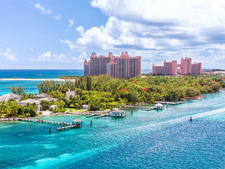 A cruise to the Bahamas conjures images of sugar-sand beaches and crystal-clear water, but the islands have much more to offer than a chance to bask in the sun. The port cities of Nassau and Freeport are stepping stones to a wide variety of experiences, from world-renowned snorkeling and scuba diving to foodie and cultural tours that take you off the beaten path. (And of course, you can still have that picture-perfect beach day.) Check out the top Bahamas shore excursions in each of these popular ports -- all of which can be booked either through your cruise line or independently. You've decided you want a vacation, but there's a problem -- you don't have a passport. Maybe you've never had the time, money or desire to travel abroad previously, or perhaps your old passport has expired. Whatever the reason, you still have choices. One option is to take a closed-loop cruise -- a round-trip sailing that leaves from and returns to the same U.S. port. For that, you need only a birth certificate and a driver's license (or other acceptable, government-issued photo ID). You can't cruise just anywhere on a closed-loop sailing, but the choices are more interesting than you might expect. Below, we've compiled a list of seven places to visit without a passport, from scenic Alaska to the beachy Caribbean. You can get a workout on pretty much any cruise, but to maximize your adrenaline-pumping options, it's best to find the right combination of cruise ship and destination. 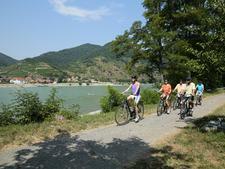 Active cruise travelers will usually turn up at least a handful of shore experiences to whet their appetites for adventure, but if you're cruising with a sedentary lot, that city bike tour or rainforest hike might get canceled due to lack of interest. Likewise, certain ports simply don't lend themselves to athletic adventures, while others have so many active choices, it's hard to make up your mind. Below, we have listed our picks for the 11 best adventure cruise destinations for those who are active travelers, as well as our suggestions for the cruise lines that make the best matches. Just don't forget to pack your running shoes and snorkel gear. Budgets can get tight at times, but that doesn't mean you have to ditch your vacation plans all together. If taking a cruise this year involves penny pinching, why not consider a cruise on a line known more for value than for the latest splashy features? 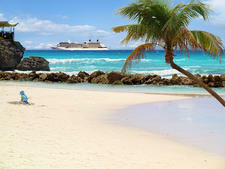 Unlike the airline industry with its low-cost carriers (think Spirit Airlines, Ryanair or even Southwest), not many cruise lines would be considered budget (though some older ships on well-established, contemporary cruise lines, like Carnival, Royal Caribbean and Norwegian Cruise Line, could fall into this category). So, to help in your search for cruise deals, we've come up with three categories for penny pinchers -- budget cruise lines, budget itineraries and budget seasons. You don't necessarily need to sail with a dedicated budget cruise line to find rock-bottom rates, but you need to know which itineraries and cruising seasons traditionally have the lowest prices. With savvy strategies, you can even find extremely affordable sailings on more upscale cruise lines, as well as the mainstream ships. So stop moping and start shopping -- there are plenty of affordable cruise vacations if you know where to look. 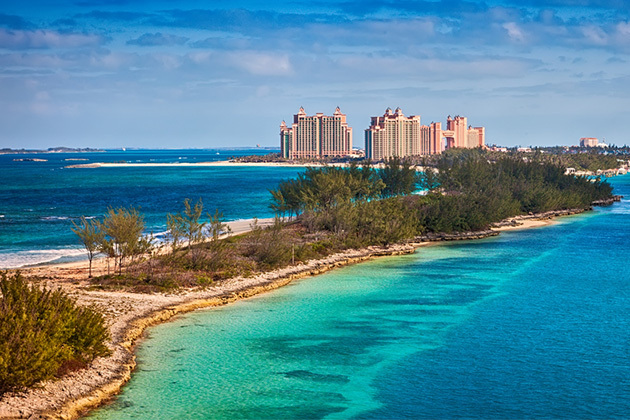 A stone's throw from South Florida, the Bahamas are an easily accessible respite from the real world -- with cruise ships generally sailing to the islands' two major ports (Nassau and Freeport) and a cruise line-operated private island. But just because the itineraries are similar, it doesn't mean the ships are, too. Each has its own personality and variety of amenities, catering to everyone from active couples and solo travelers to families and others who want to steer clear of a "booze cruise" experience. Even better, due to the limited number of ports, Bahamas cruises can be shorter -- often two to five nights -- and therefore more affordable. In need of a quick tropical getaway, but not sure where to start? 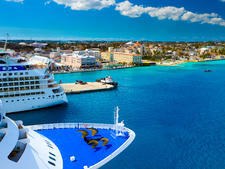 We compare the six best cruise ships in the Bahamas to help you determine your perfect fit. 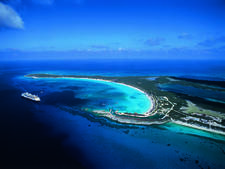 On a private island, the onboard cruise experience comes to a small Bahamian island owned by the cruise line. 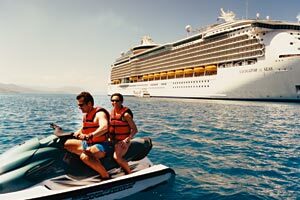 Find out what activities are available ashore. 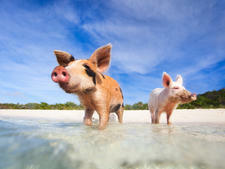 Entertaining the whole clan in the Bahamas is easier than you think! 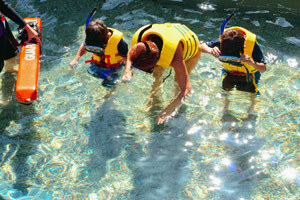 Gather ideas with our favorite family shore excursions. 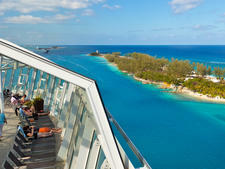 Planning a Bahamas cruise? 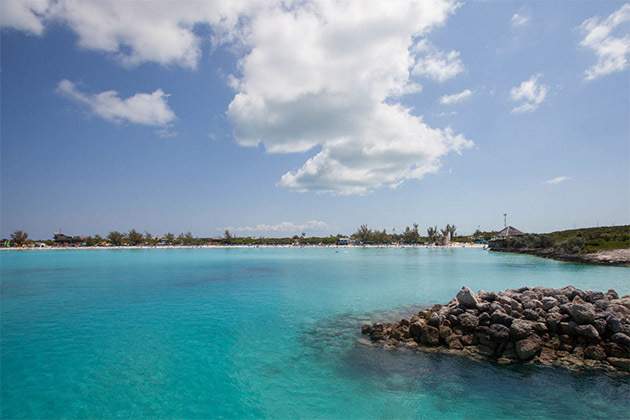 Both Nassau and Freeport have activities to keep you going day or night, so find out all the Bahamas cruise tips you need here, including the best time to go to the Bahamas.